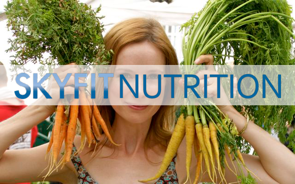 It’s October and that means it’s officially Nutrition Month and today’s topic is: Which Popular Diet is Best for You? Devon and I have so much great information to share with you that we are also dedicating the month of November to talk about nutrition as well! If you have any specific questions or concerns about nutrition, contact us by email at rob@openskyfitness.com and devon@openskyfitness.com. Which Popular Diet is Best for You? Let’s face it; there’s a wide assortment of different diets and meal plans out there and they all claim to be the best. 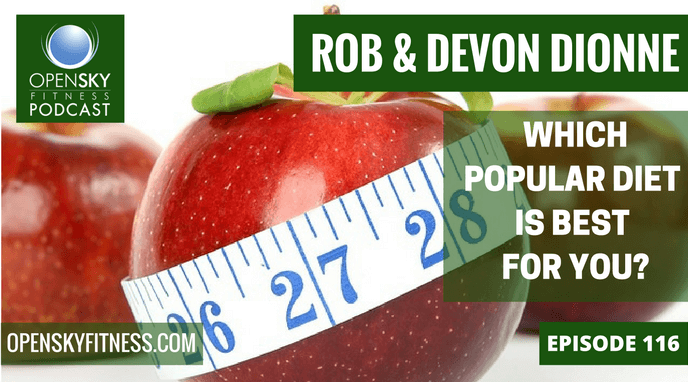 Today, Devon and I will go through 15 of the most popular diets and discuss the pros and cons of each. Our goal is to help you learn more about each diet so that you can make a better choices for yourself when it comes to your nutrition. How Important Are Macronutrients in a Diet? In relation to diets and meal plans, it’s important to make sure that we are consuming enough healthy macronutrients. Macronutrients include proteins, carbohydrates, and fats (both monounsaturated and polyunsaturated) and they do amazing things for our bodies! Macronutrients are so important to our bodys’ health and nutrition that we basically can’t live without them. For example, Proteins repair tissue, restore bones, build cartilage, and help your blood cells. No matter what diet you follow, sufficient amounts of macronutrients are very important to your diet. 13:20 What are proteins? What do they do in your body? 14:30 What are protein sources? 18:40 How does fiber work in the body? 22:53 What are the functions of fat? How do they help us? 27:00 All about monounsaturated and polyunsaturated fats and the American diet today. 29:30 Let’s talk about diets and meal plans! 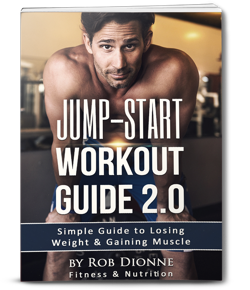 Thanks for listening/reading Episode 116-Which Popular Diet is Best for You? We hope you have gained more knowledge on how to be a healthier you!